Bearing Point 2 bedroom, 2 bath. 5 years young, this beautiful condo is sure to impress. Bright and spacious, this open floorplan has a gourmet kitchen with sleek stainless appliances, ceramic backsplash, contemporary full wrap cabinets, under cabinet lighting & Ceasarstone counters with garburator. Good size living/dining area with built-in fireplace& access to covered deck. Stacked front loading washer/dryer nicely tucked away out of sight. Indulgent bathrooms with Moen fixtures, ceramic tile & Ceasarstone counters. Master Bdrm with WIC. Secure well-lit parkade with security camera. Quality workmanship. 2 Pet allowed. 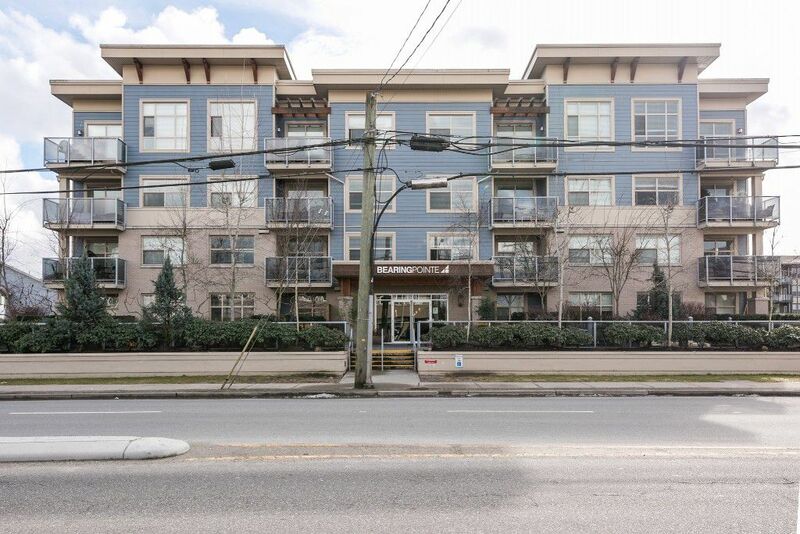 Absolutely gorgeous building to centrally located with minutes to shopping, transit & parks.